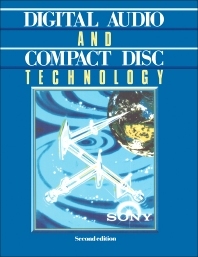 Digital Audio and Compact Disc Technology, Second Edition presents the principles behind the development of the compact disc digital audio system. The book discusses the aspects of digital audio and compact disc technology, which has revolutionized the way music is recorded and consumed. The text contains chapters that discuss the principles of digital signal processing, such as, sampling, quantization and error correction; codes for digital magnetic recording; an overview of the compact disc medium; compact disc encoding; and digital audio recording systems. Electronics enthusiasts and engineers will find the book informative.